Sleaford is to get a new skate park this summer. A decision has been taken by Sleaford Town Council to replace all the current equipment at the recreation ground on Boston Road, which is showing significant signs of wear and tear. 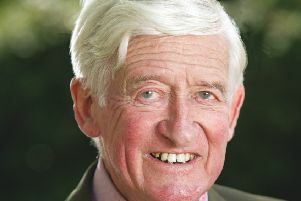 Garry Titmus, chairman of the council’s services committee, said: “Contrary to many statements that have been floating around, Sleaford Town Council has had the firm intention of replacing all the equipment on the current site as soon as possible, and ideally before the start of this year’s school summer holidays. In addition to replacing the current equipment this summer, the council has more ambitious, long term plans to extend the skate park over the next two years to make it a state-of-the-art facility. News that action is being taken to replace the aging equipment will be welcomed by those who have expressed concerns about the condition of the skate park. Stephanie Field, who runs the Tea in the Park kiosk at the recreation ground, is one of those who has voiced fears that a child could be injured. Her concern is that ‘one day a child is going to come crashing down onto one of the ramps and go straight through’. But Mr Titmus confirmed that the council was carrying out regular inspections to ensure the safety of the equipment. He added: “We are hopeful that we will be in a position to instruct contractors and have the work completed before the deterioration makes the equipment unusable because we are very aware just how much the facility is valued by the youth of the town. “Everyone can see that deterioration of the current equipment continues and, although the skate park was subject to the annual expert inspection less than three months ago, we are not complacent and continue to carry out regular and frequent inspections and stand ready to take the skate park out of public use if we are advised that it is unsafe to use. Just over a year ago teenagers in the town who feared they may lose the facility altogether started a campaign to save their skate park. Now they look set to have a brand new facility to use in the not too distant future.